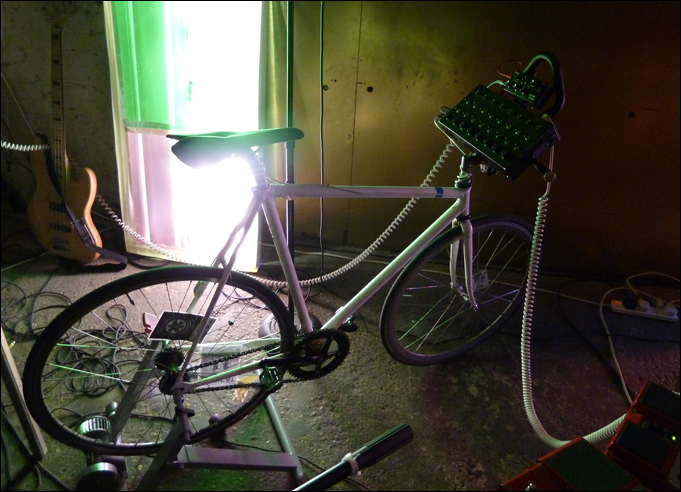 The Velotone was made for Paddy Austin, who organises bicycle-powered parties and club nights where all of the lights and sounds are generated by pedal power. 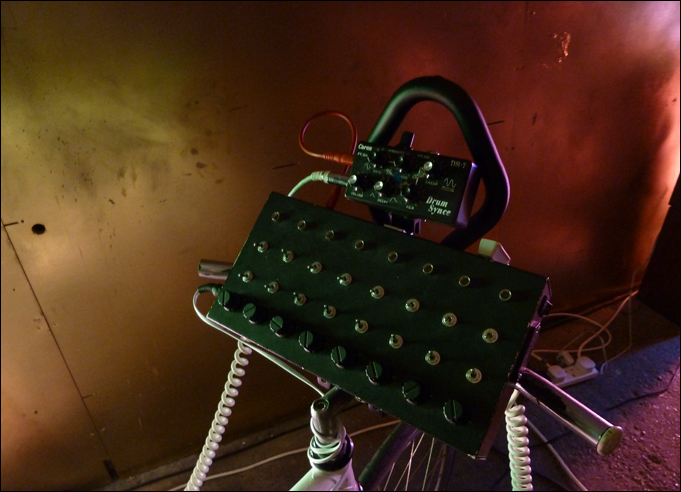 A magnet attached to the rear wheel passes a reed switch, which sends a pulse to an 8-stage sequencer mounted on the handlebars. 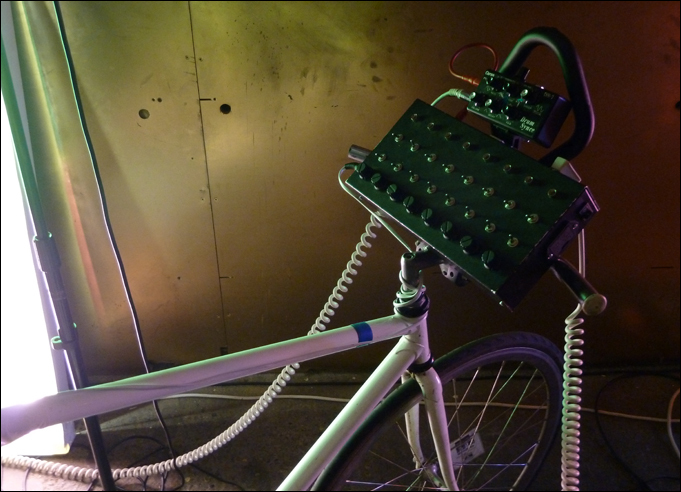 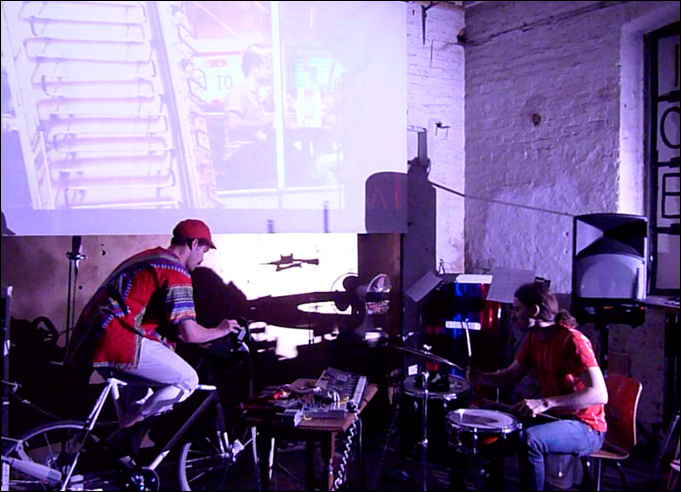 Depending on the speed of the cyclist, the sequencer plays 8 tunable oscillators, and also controls a Coron DS-7 drum machine.